Lifts the lid on 40 contemporary vampire films, from 1992 to the present, considering examples from every corner of the world. Lifts the lid on 40 contemporary vampire films, from 1992 to the present, considering examples from every corner of the world. 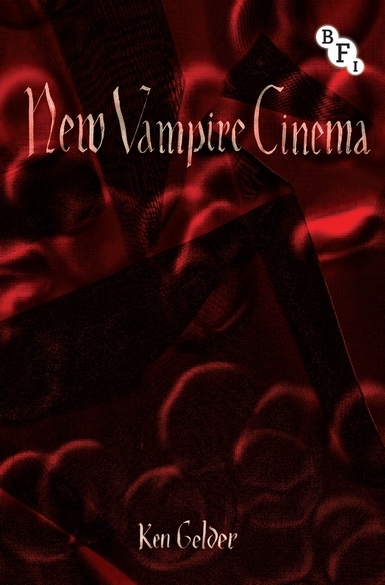 New Vampire Cinema lifts the coffin lid on 40 contemporary vampire films, from 1992 to the present day, charting the evolution of a genre that is, rather like its subject, at once exhausted and vibrant, inauthentic and 'original', insubstantial and self-sustaining. Ken Gelder's fascinating study begins by looking at Francis Ford Coppola's Bram Stoker's Dracula and Fran Rubel Kuzui's Buffy the Vampire Slayer - films that seemed for a moment to take vampire cinema in completely opposite directions. New Vampire Cinema then examines what happened afterwards, across a remarkable range of reiterations of the vampire that take it far beyond its original Transylvanian setting: the suburbs of Sweden (Let the Right One In), the forests of North America (the Twilight films), New York City (Nadja, The Addiction), Mexico (Cronos, From Dusk Till Dawn), Japan (Blood: The Last Vampire, Vampire Hunter D: Bloodlust), South Korea (Thirst), New Zealand (Perfect Creature), Australia (Daybreakers) and elsewhere. In a series of exhilarating readings, Gelder determines what is at stake when the cinematic vampire and the modern world are made to encounter one another - where the new, the remake and the sequel find the vampire struggling to survive the past, the present and, in some cases, the distant future.